This collection of pour painting techniques that is perfect for rock painting. This style may seem intimidating. But with these tips, you’ll be pouring like a pro. Acrylic pour painting is all over the internet right now. You see beautiful pieces of artwork with colors that just swirl back and forth. 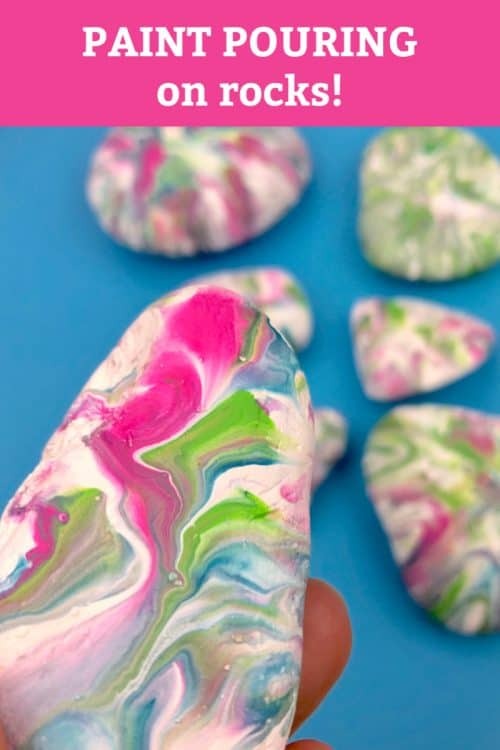 This way of painting is perfect for creating a beautiful pour paint background for kindness rocks to hide around town! 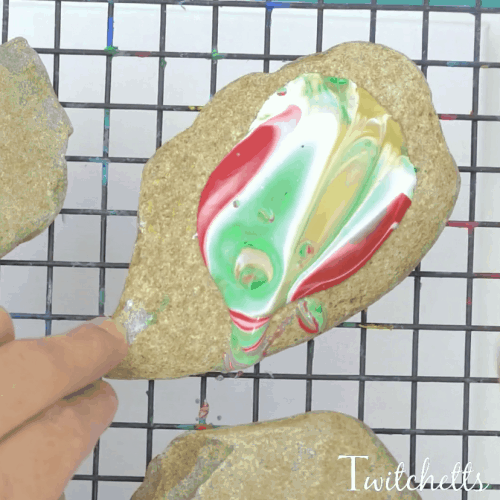 There are quite a few pour painting techniques that are perfect for rock painting. A quick search online you will find all sorts of posts and video about pouring agents, pouring additives, and creating cells. It can be a bit overwhelming and not always necessary if you are just trying to base coat a few rocks. If you have never tried pour painting, or have a lot of questions about the whole process. 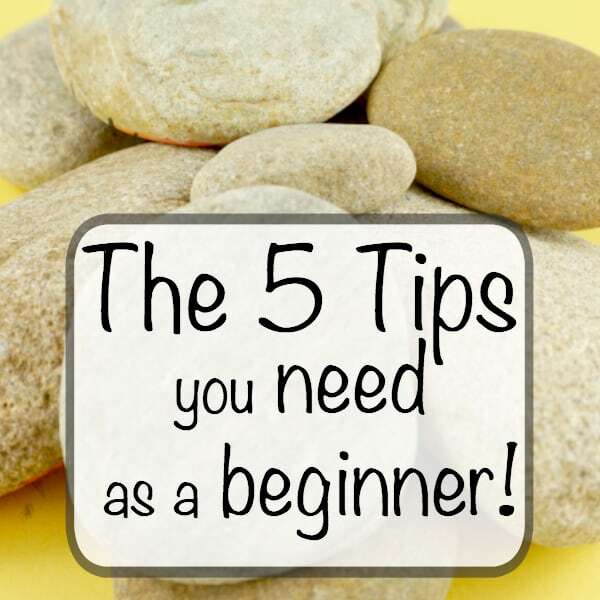 Diana from Poured Positivity Rocks is sharing her best tips for pour painting beginners. Grab all the supplies you need for pour painting on rocks from our Amazon shop! I myself have only pour painted using a bit of water or a DIY pouring medium so I went in search of someone with a bit more experience. 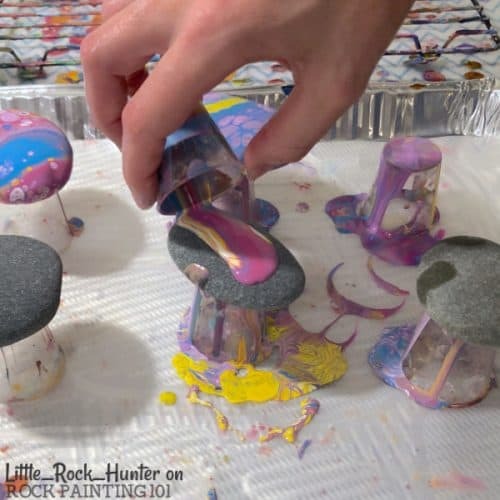 Jess from Little_Rock_Hunter has created some great pour painting recipes for you to try on your rocks! If you aren’t quite ready to start buying flow aids and silicone you might want to try this style out. It is perfect for beginners and using up the bottom paint in your bottles. This makes beautiful rocks using 2 colors that blend well to base coat a batch of rocks. You will end up with some solid color rocks and marbled rocks. Another beautiful way to pour paint on rocks is to start with a wet white coat. This is a great way to save your acrylic paints and creates a beautiful look on your rocks! 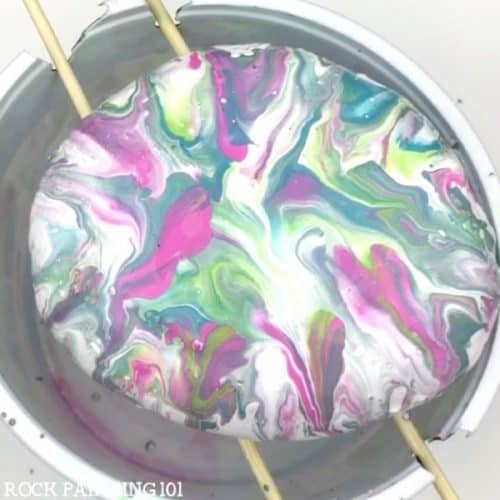 Pour Painting Rocks With Kids. 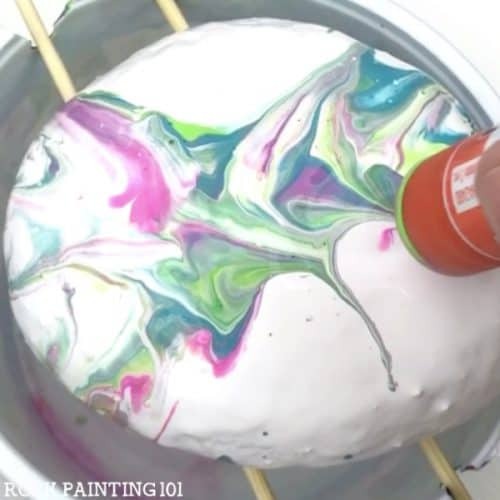 This last method is perfect for pour painting with kids. It uses a DIY pouring medium made from white glue and water. 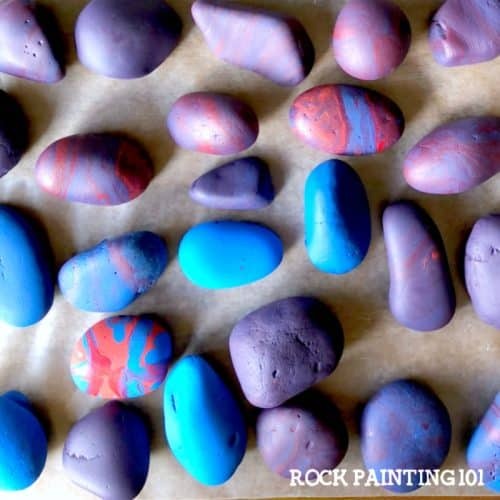 If you enjoyed these rock painting tutorials, please pin them to your favorite Pinterest board!